Regular favourites from Copenhagen, Wood Wood, have announced plans to pair up with Eastpak on a selection of bags and accessories which seek to bring the outdoors to the city. The collection will consist of various scouting backpacks, shoulder bags, pouches, sleeves and other accessories, all applicable to both city life and the outdoors. This is the first time the the two brands have come together, and is an unexpected pairing, but the teaser above gives us a hint of what will hopefully be an exquisite collection. The idea throughout is to portray the landscape of Northern America by utilising robust materials and desert-like colours. 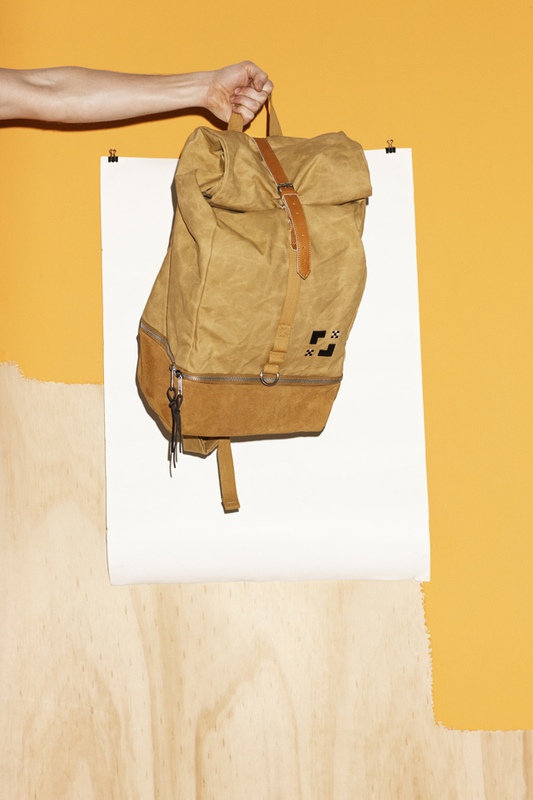 The bags will employ soft shades of brown and tan to symbolise the desert landscape, as well as natural materials like tanned leather, nappy suede and waxed canvas. It’s interesting to see Eastpak diversify their product offering, working on new and different bags, instead of their typical backpack. The collection is scheduled to retail at select UK stockists in June. Expect a more detailed look soon.